“We will cease honoring all non-binding agreements”, and “will stop contributing to the green climate fund”. According to researchers at MIT, if all member nations met their obligations, the impact on the climate would be The impacts have been estimated to be likely to reduce global temperature rise by less than .2 degrees Celsius in 2100. When I checked the US stockmarkets yesterday... Did the investors cheer Trump's decision? 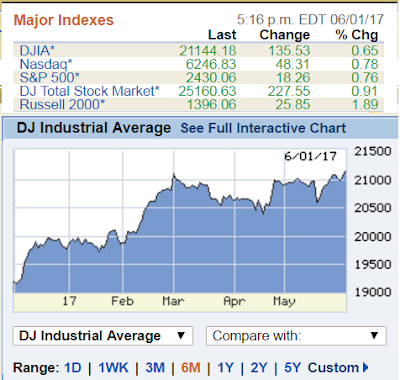 I am actually an agnostic about President Trump's policies in many sectors but when it comes to climate and energy policies, I support him. 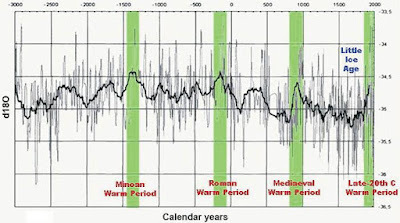 Planet Earth has experienced climate change many times since it was born some 4.6 billion years ago. How can the UN and governments fight something that naturally occurs? The higher the climate alarmism, the higher the climate extortion becomes. $100 billion/year starting 2020 on top of promised foreign aid to developing. Many governments of developed countries are angry at Trump's decision because they promised a lot, they raised expectations a lot, even if they do not have such big money or cannot squeeze more taxes from their people to give away. They only expected that US taxpayers will shoulder a big portion of such climate extortion. 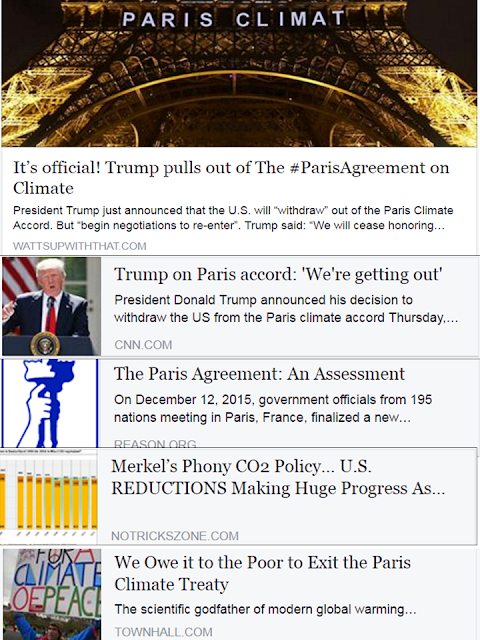 Now the annual huge parties and junkets involving thousands of "planet saviours" aka annual UNFCCC meetings will be pared down. No more $ hundreds of millions a year of US taxpayers' money to bankroll their huge parties and junkets. 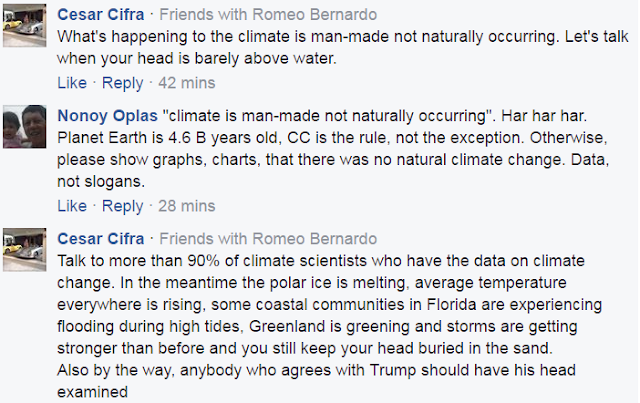 When I posted this subject in my fb wall, one alarmist stranger Cesar Cifra unloaded a series of personal attacks. This Cifra is a friend of my friend and fellow UPSE alumni Romy Bernardo. 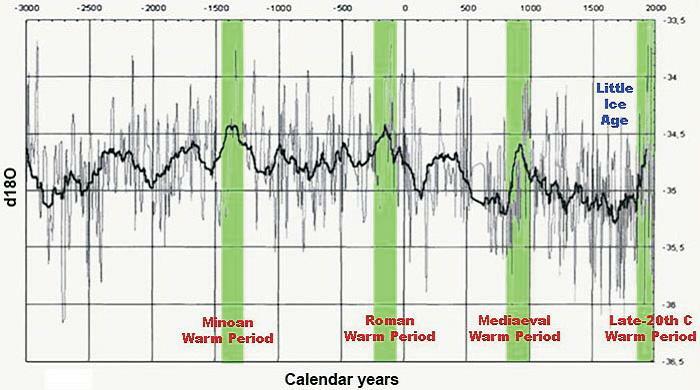 I asked for data (like below, last 4,000 years global temp.) and this Cifra responded with ad hominems, what a lousy and low-life mind. Anyway, this Trump decision is a big blow to the climate alarmism and global ecological socialism movement. A big blow to the UN and many governments whose revised purpose of existence is to tax-tax-tax their citizens as much as possible to "fight climate change" even if CC has been happening naturally, cyclically, for the past 4.6 B years.